Traffic jams is headache for every city. As for Moscow, it is the most important question to decide. Traffic lanes for public conveyance appear, the subway lines lengthen and fines for illegal parking are growing. Let’s look into non-trivial experience of five cities all over the world where city powers try to make drivers to get on the public conveyances. 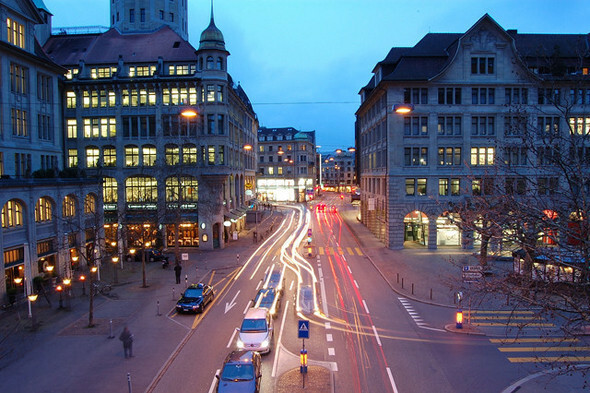 Zurich city powers decided to go to direct conflict with drivers. Their initiatives intend to do the driving in the city centre unpleasant as much as possible: local drivers always undergo psychological attacks. So, it is forbidden to drive in many blocks around the Lovenplatz, one of the most crowded squares of Zurich. On the streets where it’s allowed to go by car there are serious speed limits: people can cross the road in any place the want and at any time. Moreover a lot of underground passages are closed down and drivers now are forces to come to a halt more frequently. . Andy Fellman, the manager of the public conveyances department of Zurich says: “Car traffic now is very difficult, drivers make a lot of stopping, and it’s our aim. 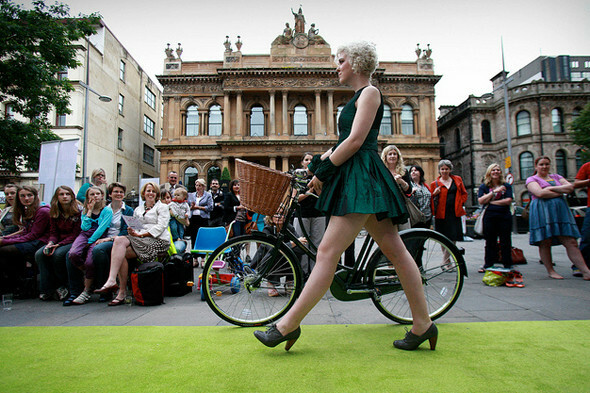 We intend to give public space to pedestrians and not to simplify the drivers’ life”. This tough policy became very efficient and provoked tides of discontent. During last five years the number of public conveyances passengers increased in 22%. There are special traffic lanes for buses to avoid traffic jams. Besides that the idea of bicycles is propagandized actively: there are a lot of bicycle paths and free cycle parkings in Zurich. Not long ago in Zurich the Sihlcity Mall was opened, it is bigger than the New-York Atlantic Mall in three times but has parking places less. Therefore 70% customers go here by bus. In East German Leipzig the city powers approach the question from psychological viewpoint. They started the project “Driving licence is your bus ticket”. The aim is to show the public conveyances advantages to the drivers. In April the driving licence conferred a right on free pass by buses, tramways and suburban trains. In addition not only the car owner but the whole his family could use this right. Monthly ticket in Leipzig costs 46.92 euros. This method is like trial version of some computer program. You get accustomed it and already buy the overall cost. Interest is true: practical Germans very like the idea of familiarization free pass. Besides Leipzig is small town and a lot of citizens went for a work through some blocks without think about public conveyance using. The community appreciated at its true value. Ulf Middelberg, the manager of the public conveyance department of Leipzig says: “Thanks to this action we want to break habits. It is a small step towards to weekly, monthly or yearly ticket. It is the best possibility to economize money”. 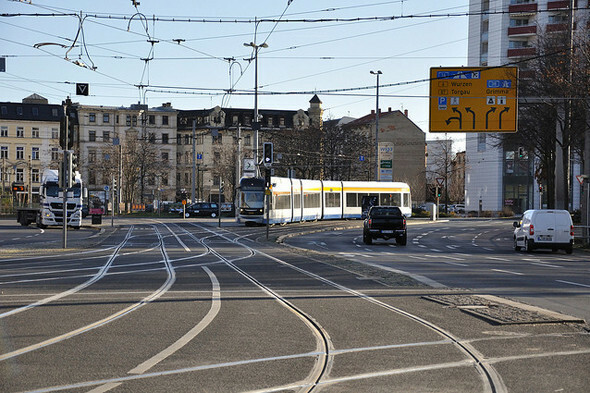 But probably such system isn’t acceptable with big cities where distances are too big. In the Japanese capital getting to public conveyances is a job of various institutions. The displays with public conveyances popularization are installed all over the city. Policemen and private companies (since the 90s) can fine for the illegal parking right on the spot. The result showed shortly: 80% illegally parked cars disappeared from the main streets and the traffic jams shortened in 40%. The public conveyances became very comfortable: for example, traffic lights are always green for buses. All buses have GPRS and traffic controllers can check their movements according to timetable. 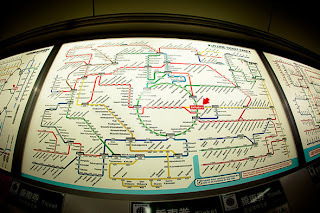 Although the Tokyo metro is the most intricate system in the world it is like clock-work. Waiting time is about two minutes. To increase capaciousness there are two-storeyed trains. And even people prefer the cars to the buses their movement is organized very technologically. VICS (Vehicle Information and Communication System) is installed in all standard equipment cars and gives drivers information about traffic jams, time of movement, parking places and roads repairs. Now Belfast is in the top-10 of the most transport filled European cities. The dense traffic in Northern Ireland is a critical problem and so it the special program “TravelWise Northern Ireland” was created. Its main idea is instill drivers and all region inhabitants. The government cooperates with companies in trainings conducting to make employees to bring each other to a work, or to go by bicycle and public conveyances. For these aims the web-site Nidirect.gov.uk started. 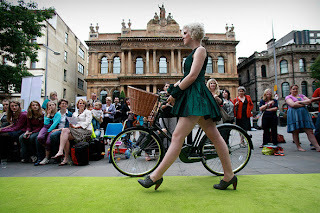 Moreover this site has big sections about public conveyances advantages, about fine bicycle routs, about carsharing benefits. 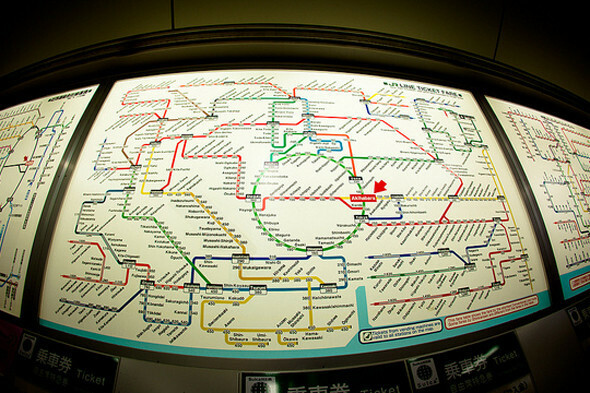 Also there are detailed timetables of trains and buses, the schemes of their moving and the cycle routs map. The special section for children tells them why it is good to go on foot, why to use a helmet when you’re on the bicycle or how it’s right to cross the road. Walkit.com helps people to calculate a pedestrian rout in every big Irish city and in contrast to Google it gives you the shortest and picturesque rout. It all together helps people give up their cars and cultivate right habits to the young generation. In spite of wasted in traffic jams time and expensive petrol the car is comfortable and takes your personal space. And all these advantages could be prevailed only by too weighty argument. So Tallinn’s administration decided this problem by very drastic remedy: all the public conveyances will become free starting from 2013. This idea was seconded by more than 75% of the citizens. 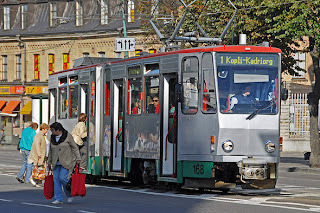 100 thousand people use public conveyance in Tallinn every day and the EU subsidies will indemnify for shortage. According to statistics bus tickets abolition makes it possible to economize every month more than 600 euro for one average family consisting of 3 members. 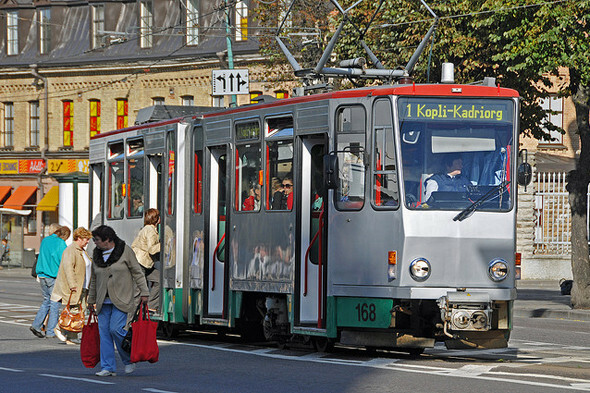 At the same time the city intends to merger two establishments: bus and tram organizations. It’ll make the transport management more efficient and less money-losing. Also the traffic lights system will upgrade to give buses and trams the priority rights on the streets. Even the traffic jam’s problem won’t be decided these generous decisions will show an excellent social effect. Travels without fare will be most welcome for low-incomes groups, students, pensioners and, certainly, for tourists.